December & January $100 OFF Wellness Exams and Labwork. Call to learn more! If you're looking for a Council Bluffs veterinarian you can trust with your pet's health and wellness, you've come to the right place. Here at Animal Clinic of Council Bluffs and Glenwood Veterinary Clinic, we're committed to providing your pet with the highest standard of veterinary care. Whether your furry friend is in need of a routine wellness exam or emergency care, our experienced veterinarians are here to help. And with two convenient veterinary locations, you're never far from the care your pet needs. Between our two offices, we have three doctors on our veterinary team. 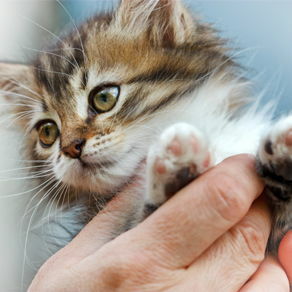 Each veterinarian has her own unique areas of expertise to best serve your pet. Our very own Dr. Melissa Harrer completed her Doctorate of Veterinary Medicine at Iowa State University and now specializes in internal medicine and surgery. She has two cats and a dog of her own. Dr. Kristen Westergaard-Bladt is also an Iowa native and completed her Doctorate of Veterinary Medicine at Iowa State University in 2012. Her interests involve internal medicine, ophthalmology, and surgery. Dr. Donna Mertz was raised in Northwest Iowa on the family farm. She graduated from Iowa State University’s College of Veterinary Medicine. She practiced large animal medicine in Wisconsin for 13 years. For the last three years she has been practicing in Blair, Nebraska. We offer a wide range of both preventative and general medical services. One of the most common services we offer is our comprehensive wellness exams. 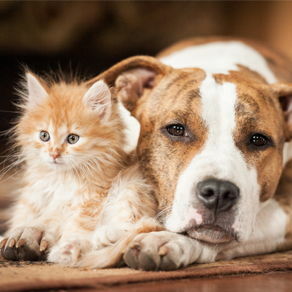 They are ideal for staying on top of your pets over all health. We also provide vaccinations, parasite testing/treatment/prevention, and even dental care in our office to protect your pet against common oral diseases. We also have a full pharmacy right here in our clinic, so you can enjoy the convenience of being able to obtain and fill your pet's prescription with us, thus saving you the trip to your local pharmacy. Is your pet exhibiting behavioral problems? If so, then we recommend scheduling an appointment. We can check to ensure that your pet's behavior isn't being caused by an underlying medical issue. 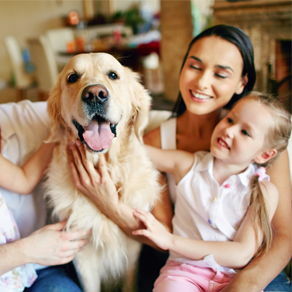 We also offer behavioral counseling services, so we can assist you in formulating a plan to improve your pet's overall behavior in your household. If you've been looking for a veterinarian in Glenwood or Council Bluffs, we're here to help. Schedule your appointment with our veterinarian Council Bluffs today by calling us today at (712) 323-0598. Dr. Melissa Harrer graduated from Iowa State University's College of Veterinary Medicine. 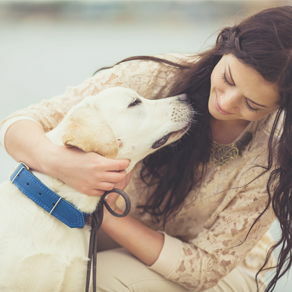 Her philosophy on veterinary medicine is to provide high-quality care, thorough examination, and comprehensive diagnostic and treatment options. She enjoys all aspects of veterinary medicine, especially dermatology, internal medicine and surgery; with a special interest in stem cell therapy and laser surgery. Dr. Kristen Westergaard-Bladt was raised in a small town in Western Iowa. She graduated from Iowa State University's College of Veterinary Medicine. After practicing for a year in Central Illinois, she moved back to Southwest Iowa with her husband, Mike, and their dog, an English Setter named Sage. 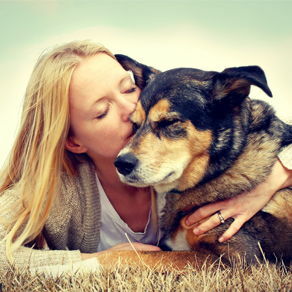 Kristen’s passion is to connect with people in the community and to provide progressive and high-quality medicine for their pets. Dr. Donna Mertz was raised in Northwest Iowa on the family farm. She graduated from Iowa State University’s College of Veterinary Medicine. She practiced large animal medicine in Wisconsin for 13 years. For the last three years she has been practicing in Blair, Nebraska. Since, moving to Blair, Donna has transitioned from large animal medicine to small animal medicine. Dr. Amanda Merchant is originally from Beulah, North Dakota. She worked for 9 years at a small animal veterinary clinic as a veterinary technician in Colorado. She graduated from Iowa State University's College of Veterinary Medicine. She is interested in providing the best care for pets as well as internal medicine and surgery. Amanda is married to her husband Dan and they have two children, Kaylee and Matthew. She also has two cats that rule the house, Suki and Gracie. The Merchant family enjoys spending time outdoors and going to movies as a family. Kimberly was born and raised in Santa Fe, New Mexico. She came to Council Bluffs four years ago. She has a Bachelor's degree in Liberal Arts from The College of St. Scholastica in Duluth, Minnesota. She also has an Associates of Applied Science degree from MTI College located in Sacramento, California. She has always had a passion for animals. Growing up she helped care for rabbits, dogs and cats. Currently, she owns one cat named Maximus. In her spare time, she enjoys reading, writing, and walking/hiking around the local areas. Markayla is a Registered Veterinary Technician. She graduated with her associates of Applied Science in Veterinary Technology from Iowa Western. Markayla grew up in Council Bluffs and has always loved animals. Growing up she helped care for horses, goats, chickens, cats and dogs. Markayla is actively involved as a 4-H project leader. She owns four dogs and one cat. Her dogs are named Diezel, Brazer, Foxy and Syd and her cat is named Bear. The staff is amazing! Always willing to help. They treat my pets like they are part of their own family not just mine! They are great! They are professional, knowledgeable, and very friendly. I definitely trust them to give my dogs expert care...which says a lot, because I'm very picky. Only vet I will ever go to!! They were amazing!! 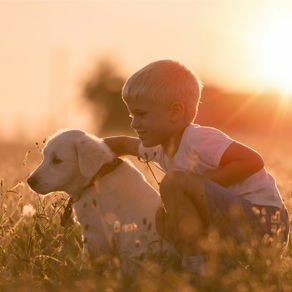 I'm so grateful to know that they will always be there for my pets! Definitely deserve more than 5 stars!! Very friendly and professional. There's nowhere else i would take my dogs in C. B. Excellent care, with friendly support staff and great Doctors! I'm very happy that I moved the care of my pets to Animal Clinic of Council Bluffs! The staff is wonderful here!!! Dr Westergaard-Blatt was knowledgeable and compassionate in helping me neuter my dog. Their prices are fair and I feel confident allowing them to treaty animals. Dr Donna is the best. She helped me figure out what was wrong with my puppies and got them the treatment they needed to make them healthy. She is an awesome person who truly cares about her client and the owners. Thank you for everything Dr Donna.